The survey for this Study was released in March 2018 - Get the 2018 Studies here . . . 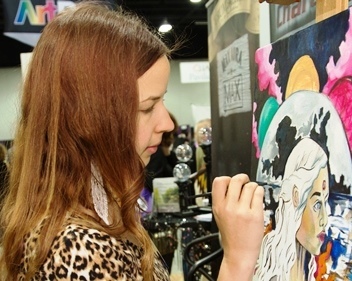 This study of U.S. and Canadian artist markets includes the results of authoritative surveys of more than 6,000 active artists and 150 specialty art materials retailers and a summary of market size and trends. The goals of this study are to ensure a robust future for art, help art materials makers and retailers serve artists even better, and ensure these mostly family-owned businesses are around to serve artists for years to come. This study is independently produced by Hart Business Research for NAMTA. Read the only data available on the 2015 size and growth of the art materials market in the USA and Canada. Market Summary includes the following data: market size, number of artists, growth 2012-2014, market share by retail channel, market share and growth by product category, number of art materials retailers, number of crafts chain stores, art materials retailer gross sales and growth, retailer sales by art materials product category, category growth areas, artist time spent creating art, artist spending by product category and retail channel, kinds of artworks created, art materials and tools used, what artists want to try, social media use by artists and retailers, impact of digital tools on art output, and how to reintroduce older adults to art. 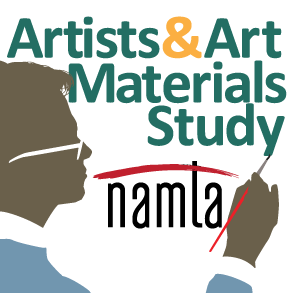 Get the results of a 2015 survey of 150 art materials retailers in the USA and Canada: core financial metrics, growth trends, product trends, marketing and business best practices, challenges, and feedback for suppliers. The report includes data from all three study years: 2009, 2012, 2015.